Each time the New Opportunity School for Women Foundation establishes a NOSW program site in an Appalachian community, lives are changed—lives of the NOSW women participants, lives of their children, and lives of staff, donors, volunteers, and supporters. Over 800 brave Appalachian women have benefitted from the New Opportunity School for Women program experience. ​With five sessions among the four program sites in 2015, forty-six women graduated in 2015. During the New Opportunity program experience, each woman finds the courage to leave home for three weeks to participate in intensive coursework in self-esteem, job search skills, creative writing, math and Appalachian literature, among others. 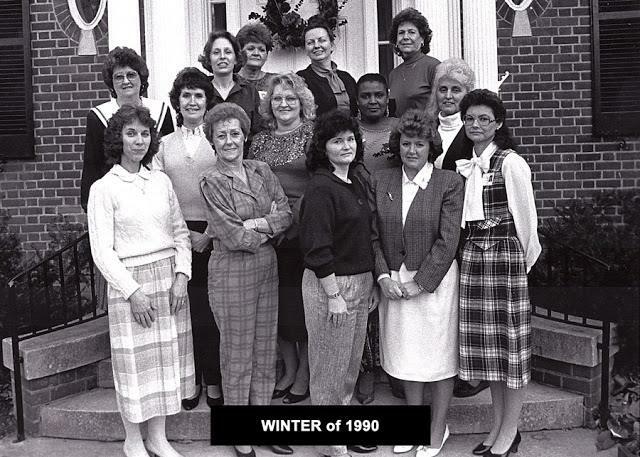 Appalachian women of the Winter Class of 1990 New Opportunity School for Women, Berea, Kentucky, with Founder Jane Stephenson. NOSW Berea, the "mothership" program, will celebrate its thirtieth anniversary in 2017. Visit our facebook page to see class photos of the first decade. The NOSW program has been shown to change and rebuild lives of Appalachian women and their children. The New Opportunity School for Women Foundation is the umbrella organization for support and further development of the New Opportunity School for Women current program sites in Kentucky, North Carolina, and Virginia. A primary purpose of the New Opportunity School for Women Foundation is to establish NOSW program sites in regions of Appalachia. Each time the New Opportunity School for Women Foundation establishes a NOSW program site in an Appalachian community lives are changed—lives of the NOSW women participants, lives of their children, and lives of staff, donors, volunteers, and supporters in the NOSW program communities. Each new NOSW program site increases the capacity to reach and rebuild the lives of more Appalachian women of promise. Increased capacity is essential to the increased ability of the New Opportunity School for Women Foundation to improve the lives of Appalachian women in need. The New Opportunity School for Women (NOSW) is a three-week residential program operated by NOSW, Berea, Kentucky, NOSW at Lees-McRae, Banner-Elk, North Carolina, and NOSW at Bluefield College, Bluefield Virginia. For more information on each NOSW program, please visit the individual websites for these programs. Through education, personal guidance, and career development at all NOSW program sites, Appalachian women find the courage to change and to overcome obstacles that arise from poverty, limited educational attainment, health care concerns, and other major challenges, including domestic violence. Jane Stephenson founded the New Opportunity School for Women almost 30 years ago in Berea, Kentucky, to serve women from rural counties in Central Appalachia. In 2005, Lees-McRae College in Banner Elk, North Carolina, became home to the second NOSW. The New Opportunity School for Women Foundation established a third program site at Bluefield College (Bluefield, Virginia) in 2013. In 2014 the New Opportunity School for Women Foundation established a fourth NOSW program site at Maryville College (Maryville, Tennessee).​ The Maryville College site operated sessions in 2014 and 2015. No future sessions are scheduled at Maryville College. Testaments to the high reputation of the NOSW program, its effectiveness, and positive impact on the lives of Appalachian women include awards, recognitions, and honors bestowed on the NOSW programs and its Founder, Jane Stephenson. Oprah's Angel Network included the NOSW in 2003, and staff and students from NOSW Berea appeared on the Oprah! show that year. Stephenson won AARP's Create the Good "Win and Do Good" volunteer contest for her work with NOSW in 2011. In 2012 the Women Helping Others Foundation awarded a $40,000 grant to NOSW. In 2010 the Women Helping Others Foundation awarded a $15,000 grant to NOSW. In 2015 the Christian Appalachian Project presented Jane Stephenson with the inaugural Champion of Appalachia award. Additional grants and awards have come to the NOSW program sites over the years, often unexpectedly and always greatly appreciated. Learn more about Appalachia and the positive impact of the NOSW program, New Opportunity School for Women, Berea, Kentucky. In this photo are NOSW graduate and her son. 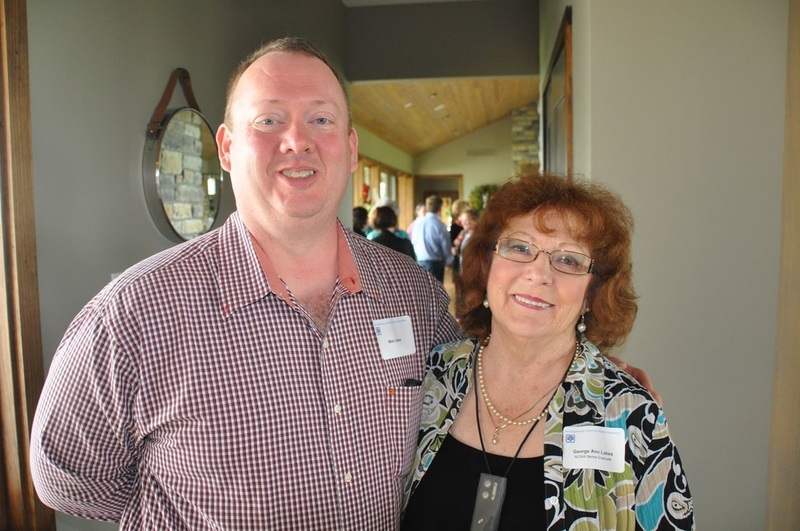 George Ann and her son are an example of the impact of this life-changing program. To learn more, contact us. Through education, personal guidance, and career development at all NOSW program sites, Appalachian women find the courage to change and to overcome obstacles that arise from poverty, limited educational attainment, health care concerns, and other major challenges. Computer skills and career development have been and continue to be an integral part of the NOSW program curriculum. Women participate in reentry classes during the three-week residential sessions before returning to their homes, and follow up resources are made available to NOSW graduates. Testaments to the high reputation of the NOSW Family of Programs, their effectiveness, and positive impact on the lives of Appalachian women include awards, recognitions, and honors. 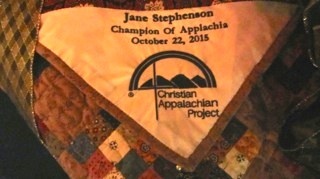 The Christian Appalachian Project presented Jane Stephenson with the inaugural Champion of Appalachia award on October 22, 2015.